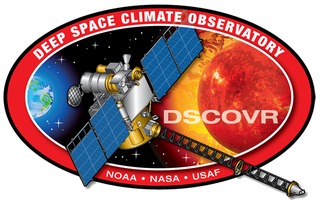 The launch of the Deep Space Climate Observatory (DSCOVR) and second SpaceX barge landing attempt scrubbed yesterday have been delayed until tomorrow due to unfriendly weather. Along with launching a new NOAA satellite to monitor incoming cornal mass ejections and solar storms, the launch will mark SpaceX's second attempt at soft-landing the Falcon 9 booster rocket on a barge in the Atlantic Ocean. If SpaceX can succeeds, this will be an important step forward in reusable spaceflight, a concept that requires more expensive initial components but may drop the overall launch cost once perfect. This is the second attempt at a barge landing: the rocket ran out of hydraulic fluid and crashed into the drone ship during the first attempt. After problems with Air Force tracking system and a video transmitter on the rocket booster scrubbed the launch attempt yesterday with only minutes in the countdown, the launch was initially rescheduled for this afternoon. Even then, the weather looked ominous, with a 60% forecast for violating the weather rules. Today, the weather looks just as foreboding. Pushing ahead with the launch window today would shut down either Tuesday or Wednesday's attempts because of crew rest requirements, so the team decided to scrub the attempt before it started. This minor delay also gives the SpaceX crew more time to replace a faulty video transmitter on the first stage, a repair that isn't strictly necessary but is very nice to have, particularly if this barge landing attempt is the one that succeeds. The new flight window is Tuesday at 6:05 pm EST. If that, too, is scrubbed, the next window is Wednesday at 6:03 pm EST.